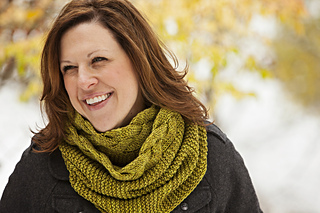 Oh, the options you have when you knit this gorgeous cowl. 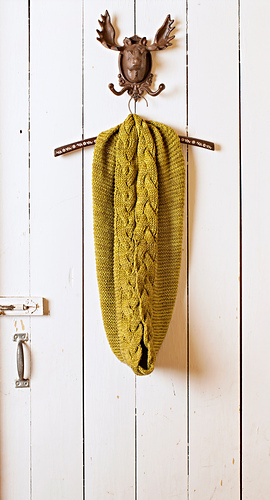 It is knit flat and then joined, mixing garter stitch and a big cable. 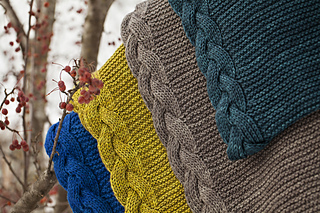 It’s shown in Traveler Aran, but you might choose to mix bases to create a one-of-a-kind fabric or a wonderful tweed. The cable is reversible, so there is no right or wrong side and the repeats are a snap to memorize. Why, it will practically knit itself! 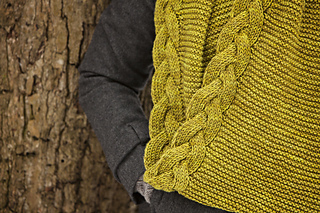 Although gauge isn’t essential on this project, please note that any changes in gauge will affect the finished measurements and the amount of yarn needed.